Everyone knows that drugs are a serious problem in prisons. They should not, however, be used as a catch-all excuse for every petty prohibition. When I was tangentially involved with family visiting arrangements at HMP Chelmsford in late 1990s I was horrified by the rule that, if a young child needed a wee during the 2 hour visit to his / her father, the mother or carer would have to take them out of the visits hall, do the business, then come through the entire security system again. This would take at least ½ hour, 25% of the scheduled visit. Why? Drugs, of course. So why not have a children's toilet facility within the visits area? Why not, indeed. But you learn not to argue with prison officers if you're the representative of an outside organisation and there on sufferance. So, should we accept Justice Minister Chris Grayling's assertion that the current prohibition on books, magazines and other personal items being sent or brought in to prisoners is part of a crack-down on Drugs? “We have even seen drugs concealed inside a hollowed out Weetabix,” he writes. Should we stop feeding prisoners perhaps? But seriously Grayling's assertions about the adequacy of prison libraries to supply all residents' reading requirements and his attempt to force prisoners to buy their own stamps, cards, books, magazines, chocolate bars, new underwear and to pay for phone calls out of their so-called 'earnings' is almost laughable – except that it isn't funny at all. East Sutton Park, the open prison where Pryce served most of her sentence, offers residents almost unparalleled opportunities for work, yet the rates of pay are such that an hour and a half of labour is necessary to earn sufficient money to purchase a single first class stamp. Prisoners do not have access to the internet so letters are vital in the attempt to maintain contact with family outside. “Anyone who has not been to prison can simply not imagine how important these types of communication were for us,” writes Pryce. East Sutton Park did not have lock-up times, did have an accessible library and, at the time that Pryce was sentenced (March 2013) she was allowed to take books into prison with her. Prison libraries are supported by their local authorities. Essex County Council is one of the best providers of library facilities. 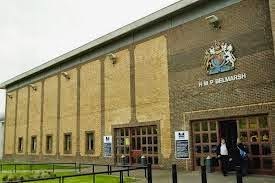 I have seen the library in HMP Chelmsford and it is completely inadequate for the size of the prison – which is, like most of our prisons, grossly overcrowded and holding far more people than the original Victorian designers had conceived. Many prisoners are locked up for 23 hours out of 24; employment opportunities are extremely limited; visits to the library are a privilege not a right – so can so easily be taken away or cut at times of staff shortage. Education provision is limited and inconsistent. Learning is also frequently interrupted as prisoners are moved from gaol to gaol. Chelmsford prison library has some books in Dutch for the East Coast drug smugglers but in general there is little or no book provision for prisoners who cannot easily read English. I saw some audio cassettes (this was a few years ago) but cannot feel confident that there is adequate choice for dyslexic prisoners and the large number of other inmates who lack basic reading skills. We could of course stop imprisoning quite so many people – recent changes in sentencing policy mean that Britain sends more people to prison than any other Western European nation. We should all be lobbying the Justice Minister to change his mind on the issue of parcels containing books etc, being sent in by friends and families. Then perhaps we might play with the idea of starting a small campaign of our own: Think of the portability and capacity of a Kindle (or other e-reading device). Consider the wealth of reading matter which could be pre-loaded for free to suit different levels of reading ability and could be made available in a variety of languages. Conceive of a point within every prison where the e-reader could be topped-up, in supervised conditions, with material chosen by the individual inmate. Then, possibly, we may be more able to feel more comfortable living as a society which locks up sentient beings for 23 hours a day. Or not. This is a question that should concern us all. A very powerful post Julia - I agree with every word. And do people still send apple pies with files inside? Yes, Julia, a powerful post indeed. We really have become the Vindictive Society. We never used to be and that was the quality I valued most in the British character. I'm all for some kind of action of AE's own about books in prison. But, though the present government epitomises this new vindictiveness I am far from sure that its removal will really make any difference. Great post, Julia, and full of a characteristic and quality in very short supply nowadays - compassion. The lines between civilised and barbaric have become very indistinct. A great post, Julia. I think I'd go mad if I were locked up without access to books. I really don't see any reason why prisoners shouldn't have access to e-readers, and be able to download ebooks (under supervision if absolutely necessary). 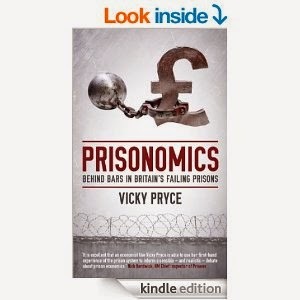 Perhaps authors could offer their ebooks for free to prisoners, as some already do to troops stationed abroad? yes it's shocking to deny a chance of self-improvement and useful entertainment to prisoners - also some who have been wrongly convicted have learned enough inside to get their cases looked at again. 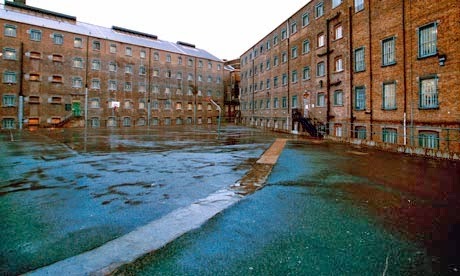 I did a crime fiction session in a women's prison, there were lifers and all sorts among them. They seemed to really enjoy listening, and talking about the book and my life as a writer. The idea of kindles for prisoners is brilliant, unless our govt believes you can download Columbian marching powder from them. top post, Julia as ever. Such an interesting post - thank you. I'd already signed the petition, but always worry I don't have enough background information. You've really helped expand on an important issue.